Get low pricing and great service with your next DOT Physical Exam at our convenient clinic located on Paperjack Drive in New Richmond, WI. We are conveniently located just off Highway 65 in New Richmond with easy access and parking. Need your CDL Physical Exam Today? Get your DOT Physical Exams often the same day of your call and get right back on the road in short time. Worried About Passing Your CDL Physical Exam? Dr. Brown knows how important it is that you continue your livelihood as a commercial driver. With his extensive knowledge of the DOT Physical Exam medical guidelines, Dr. Brown will steer you through the DOT Physical Exam requirements so you can Keep on Truckin’. Not sure if your medical condition will affect your driving status? Just give us a call before your appointment. We are here to answer your questions. Whether you are just traveling thru New Richmond, WI or one of our local drivers, we are here for you! Looking for a DOT Physical Exam or CDL Physical Exam in New Richmond, WI? You’ve come to the right place! Be better prepared and save time! Forms can be filled out on-line before your appointment. You may request this when you call to make your appointment. Brown Chiropractic, at 228 Paperjack Drive, New Richmond, WI is on the south side of New Richmond, next door to Kwik Trip. Located in Paperjack Plaza, we are a half block east of State Highway 65 with plenty of free parking for cars, buses and trucks. Donald Brown, DC, DACBOH, National Registry Certified Medical Examiner, is a specialist in Occupational Health and injury prevention. He has been providing DOT physicals in New Richmond, Wisconsin since 2000 and is the exclusive provider of School Bus physicals and DOT Drug and Alcohol testing for New Richmond and Somerset school districts, local tow companies and businesses. 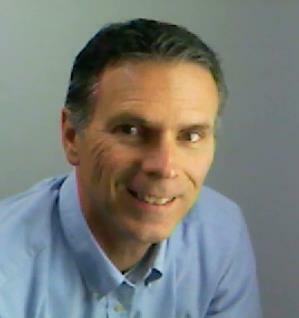 He is board certified as a specialist in Occupational Health and Ergonomics. He provides occupational health services and consulting for local businesses. He is also a certified trainer of PowerLift safe lifting training. Dr. Brown is a member of the Wisconsin Chiropractic Association, the American Chiropractic Association, the International Academy of Chiropractic Occupational Health Consultants, and the Council on Occupational Health. He is the past President of the American Chiropractic Association Council of Occupational Health.